1:02 p.m., Nov. 6, 2013--John Peter Scholz, professor in the Department of Physical Therapy at the University of Delaware, died on Saturday, Oct. 19, 2013, after battling cancer for more than 10 years. He had been a member of the UD faculty since 1988. Scholz’s life was celebrated at a memorial service on Thursday, Oct. 24, at St. Thomas More Oratory on the University campus. Binder-Macleod went on to share notes he had received from former students and colleagues who could not attend the service. Scholz is remembered for refusing to give up in the face of a fatal disease and continuing to live his life to the fullest, from conducting research to taking long training rides on his bike, throughout debilitating treatments. In 2006, he cycled 100 miles in the Livestrong Philadelphia challenge, raising $15,000 for the cause. 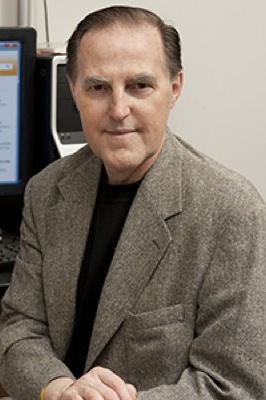 Scholz received his degree in physical therapy from the University of Pennsylvania, a master’s degree from the University of North Carolina at Chapel Hill, and his doctorate in experimental psychology from the University of Connecticut with an emphasis on motor control. His research focused on understanding the basic processes underlying movement coordination and on characterizing movement coordination in patients with motor dysfunction. Just a month before his death, he was the College of Health Sciences Researcher of the Month. A physical therapy student scholarship fund has been established to honor Scholz’s memory and his commitment to physical therapy education. Contributions can be sent to University of Delaware, Gifts Processing, 83 East Main St., Third Floor, Newark, DE, 19716. Make checks payable to “University of Delaware” and include on the memo line UD-Scholz Scholarship. Donations can also be made online at this website. Please note in the special instructions that the gift is in memory of Dr. John Peter Scholz. For more information about the Scholz Scholarship, contact Binder-Macleod at sbinder@udel.edu.